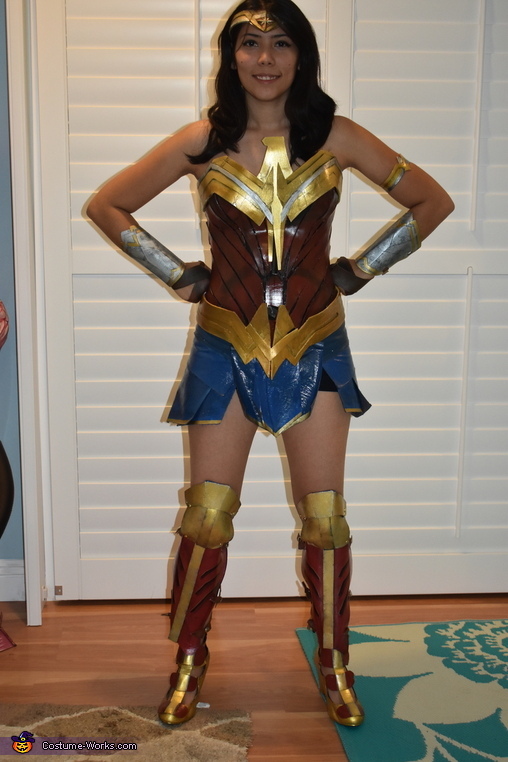 I am wearing a wonder woman costume I did myself. I used thing foam sheets for the corset, arm cuffs, bracelet, and boot armor. Then I cut pieces of leather and painted them for the skirt. I sowed the skirt and added the gold trim. I took me about 2 months to complete the corset, skirt, arm cuffs, bracelet, and shoes. I bought the shield, tiara and sword.